What really drives success? Is it our families, our cultures, our upbringings? Our socio-economic status? Raw IQ, EQ, our genetics, even genius? According to renowned psychologist and education speaker Angela Duckworth, real achievement often comes down to “grit”: a special mixture of enthusiasm and determination that, as a concept, is redefining more than just education. In her long-awaited book Grit: The Power of Passion and Perseverance (available May 3rd), Duckworth explains and dissects “grit” with personal stories, diligent research, and fascinating insights from diverse fields, exploring the secret to high-level performance and what could be the key to lasting, gratifying success. Called “a persuasive and fascinating response to the cult of I.Q. fundamentalism” by Malcolm Gladwell, Grit is perfect for educators, businesspeople, artists, and athletes—or just about anyone striving to be a top performer in their field. As she does in her thought-provoking keynotes on performance, psychology, education, and motivation, here Duckworth demonstrates that no matter your age or station in life, grit is something you can start to cultivate today. Winningly personal, insightful, and even life-changing, Grit is a book about what goes through your head when you fall down, and how that—not talent or luck—makes all the difference." 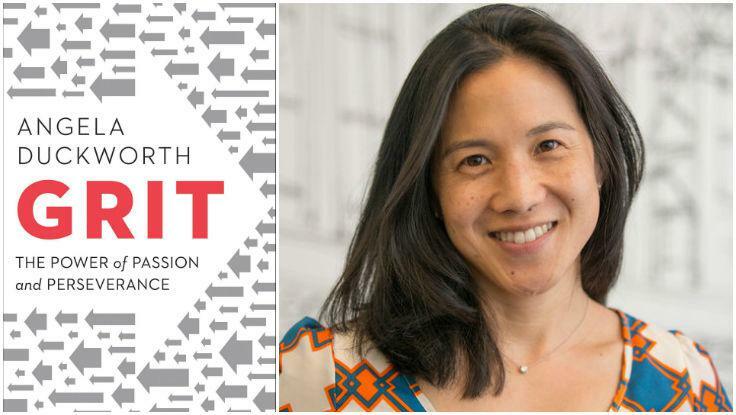 To book education speaker Angela Duckworth for a talk on her groundbreaking research on grit, contact The Lavin Agency speakers bureau.